Israel continues to prioritize settlements in the occupied Palestinian territories over localities in Israel proper. This fact, which does not augur well for peace, was revealed in Adva Center’s recently published periodic analysis of central government transfers to municipal budgets. Non-Haredi settlements in the occupied territories are still to be found at the top on 3 measures. Compared to several other types of municipalities – the 15 most affluent Israeli localities, the largely Mizrahi “development towns,” the Arab localities within Israel, and Haredi settlements, the non-Haredi settlements continue to enjoy the largest per capita municipal expenditure, the largest per capita central government “designated” subsidy (mainly for education and social welfare services), and the largest per capita central government balance grant. The Haredi settlements – Beitar Illit, Modiin Illit and Emanuel, are urban localities designed for low income families; they are located close to the Green Line border between Israel and the Palestinian territories and are generally considered to present no obstacle to any possible two-state solution to the Israeli-Palestinian conflict. The non-Haredi settlements, on the other hand, include, among others, the so called “ideological” settlements, many of them deep inside Palestinian territories and strongly opposed to the creation of a Palestinian state. The development towns, located mostly in outlying areas of the country, represent Israel’s largest pre-1967 government development project, designed for the largely Mizrahi 1950s and 1960s immigration. They were at the forefront of Israel’s rapid industrialization, but their low-tech industries were soon overtaken by the post-1967 hi-tech defense industries, located in the geographical center of the country. Their peripheriality has been accentuated by the preferential status given to the Jewish settlements in the Palestinian territories. 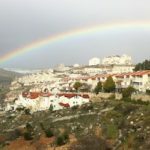 The development towns are losing out in the field of political representation, too: representation of the settlements in the Knesset has increased from one legislator who resided in a settlement in the 9th Knesset (1977-1981) to 12 such legislators in the 19th Knesset (2013-2015); representation of the developments towns, which was 12 legislators in the 13th and 14th Knesset, declined to only 4 in the 19th Knesset. The good news contained in the new Adva Center report is that Arab localities within Israel, which were for years systematically under-financed by Israel’s central government, are now approaching parity with the national average. This publication was produced with the financial support of the European Union. 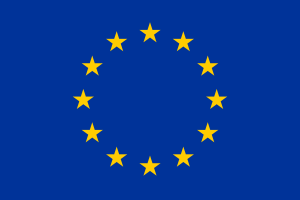 Its contents are the sole responsibility of the Adva Center and do not necessarily reflect the views of the European Union.